Nanomaterials in Chromatography: Current Trends in Chromatographic Research Technology and Techniques provides recent advancements in the wide variety of chromatographic techniques applied to nanotechnology. As nanomaterials’ unique properties can improve detection sensitivity and miniaturize the devices used in analytical procedures, they can substantially affect the evaluation and analysis ability of scientists and researchers and foster exciting developments in separation science. 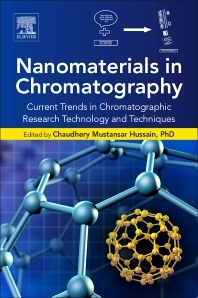 The book includes chapters on such crucial topics as the use of nanomaterials in sample preparation and the legalization of nanomaterials, along with a section on reducing the cost of the analysis process, both in terms of chemicals and time consumption.